Programmable Launch RPM Controller – Part# 75611 – Too much power can actually be a hindrance when it comes to hooking up a small tire or the prop of a drag boat. For anyone with this “problem” the Programmable Launch Limiter is the answer. This microprocessor controlled Limiter plugs in place of an rpm module in an MSD Ignition or Soft Touch unit. You can then go in and program a launch based rpm ramp based on rpm and time. This is set in 100 rpm steps down to 0.001-second increments by using MSD’s Pro-Data+ software on a PC or with the optional Hand Held Monitor, PN 7550. There is also an adjustment that sets a delay time before the rpm limit activates. This way, when you launch the rpm limit will kick in exactly when you want it to and ramp up to your race rpm for the rest of the run. This Limiter can be used with any of MSD’s Rev Controls that use the plug-in rpm modules. The Pro-Data+ software is supplied or can be downloaded. Soft Touch Rev Control – Part# 8728 – For points and OEM Ignition systems. The Soft Touch Rev Control, PN 8728, is designed to be used on standard points ignition or inductive ignition systems. This means that the PN 8728 can be installed on engines with a GM HEI Ignition, Ford or Chrysler electronic ignition, any standard breaker points systems or even with an MSD 5 or Blaster Ignition (non-CD ignitions). The Soft Touch Rev Control is adjusted with plug-in modules and is supplied with 6,000, 7,000 and 8,000 rpm modules. When the engine reaches your set rpm, the Soft Touch circuitry kicks in and drops the spark to certain cylinders. These cylinders are fired on the next cycle to prevent fuel from loading up in the cylinder. This limiter produces very accurate and smooth, backfire-free rev limits. Can be used on 4, 6 or 8-cylinder engines with inductive ignitions. NOTE: Not for use with CD Ignitions. Soft Touch Rev Control, MSD 6T, 6TN, 6HVC – Part# 8738 – Unlike many rev limiters which simply cut off the ignition spark, the Soft Touch uses computer circuitry to drop one cylinder at a time and then fire that cylinder on the next cycle to prevent fuel from loading up the plugs. The result is very smooth rev limiting action that “holds” the engine at the selected rpm limit without backfires, extreme roughness or engine damage. The rpm limit is adjusted with plug-in modules and 6,000, 7,000 and 8,000 modules are supplied. 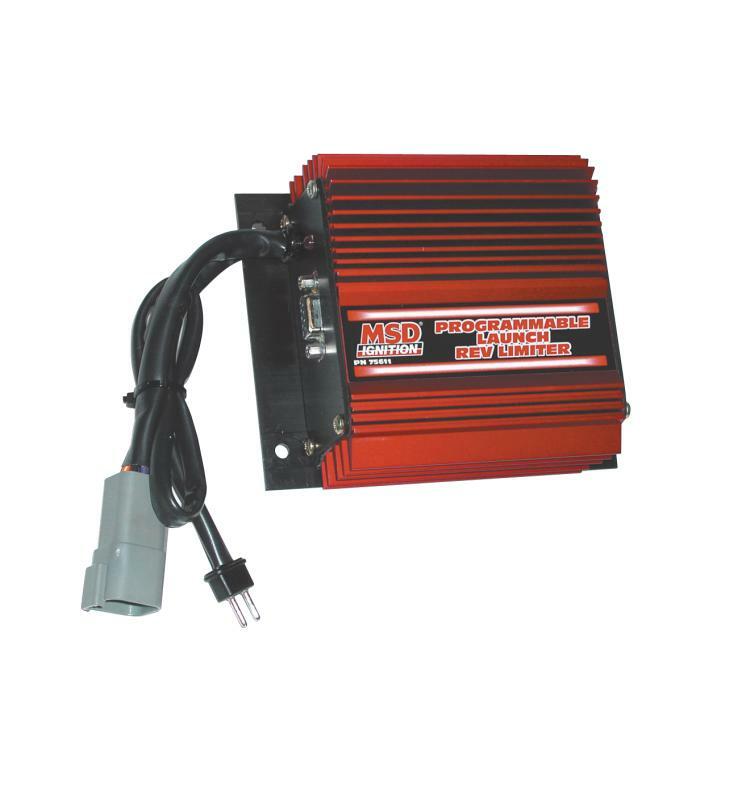 NOTE: Must only be used with an MSD 6T , 6TN or MSD 6 HVC Ignition and is adjustable for 4, 6 and 8-cylinder operation.